DEVELOPMENT release for autumn 2007. Thanks to Paolo Borelli, Iain Holmes, Havoc Pennington, Christian Persch, Thomas Thurman, and Alex R.M. Turner for improvements in this version. So, now that the compositor is in trunk and everyone is excited, this might be a good time to mention some “issues”. Firstly, it seems that there are some weird shadow redrawing problems…these just appeared recently, so it shouldn’t be hard to find the offending commit. I think I know what it is, I just need to work out why its not working. Next: Now that some windows have argb visuals some buggy themes may have translucent parts where there weren’t translucent parts before. Gilouche was one of these themes and Jimmac fixed it up recently. So if you start seeing through the window title bars, tell your theme author. Also, I’ve been getting reports of terrible performance and rendering issues with xgl. It seems xgl doesn’t like any of the non-GL compositors, so I don’t know what to do about that. Thanks to Iain Holmes and Thomas Thurman for improvements in this version. This is the first unstable release to contain the new compositor; please try it out and let us know how it goes for you. Downstream maintainers should note that its GConf key is initially turned off in src/metacity.schemas.in and consider whether to turn it on by default in their packages. 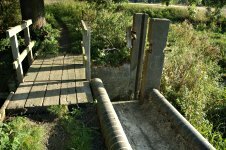 Photo: Footbridge over the River Ver, Hertfordshire, England. Photographer: Gary Houston. Public domain. Thanks to Benjamin Gramlich, Thomas Thurman, and Peter Bloomfield for improvements in this release. Photo: Ver valley. Photo by Gary Houston; public domain. 2.21.1 was released last night; it had been held off a little because of a regression in #486445, which is now fixed. Therefore, more patches than I’d ordinarily have expected to go into a point release went in. Thanks to Elijah Newren, Alex R.M. Turner, Peter Bloomfield, Iain Holmes, Jans Granseuer, Federico Mena Quintero and Thomas Thurman for improvements in this release. 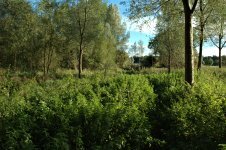 Photo: River Ver at St Albans. Gary Houston, public domain.